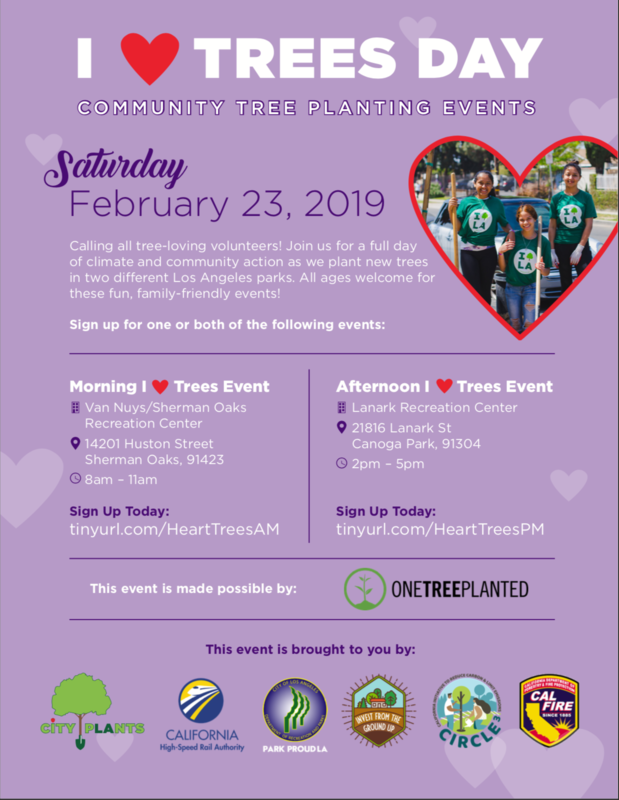 Come join us for this family-friendly event as we plant 40 trees at the Van Nuys/Sherman Oaks Rec Center! It is our mission at City Plants to expand and maintain Los Angeles’ green canopy through helping plant over 20,000 trees in L.A. yearly, but this would not be possible without our amazing volunteers! With your help, we can make Los Angeles more sustainable for generations to come. Volunteer registration will begin at 8:00 AM. Please wear close-toed shoes and bring a reusable water bottle, if possible. For more information about this event, please reach out to City Plants at (213) 473-9950.